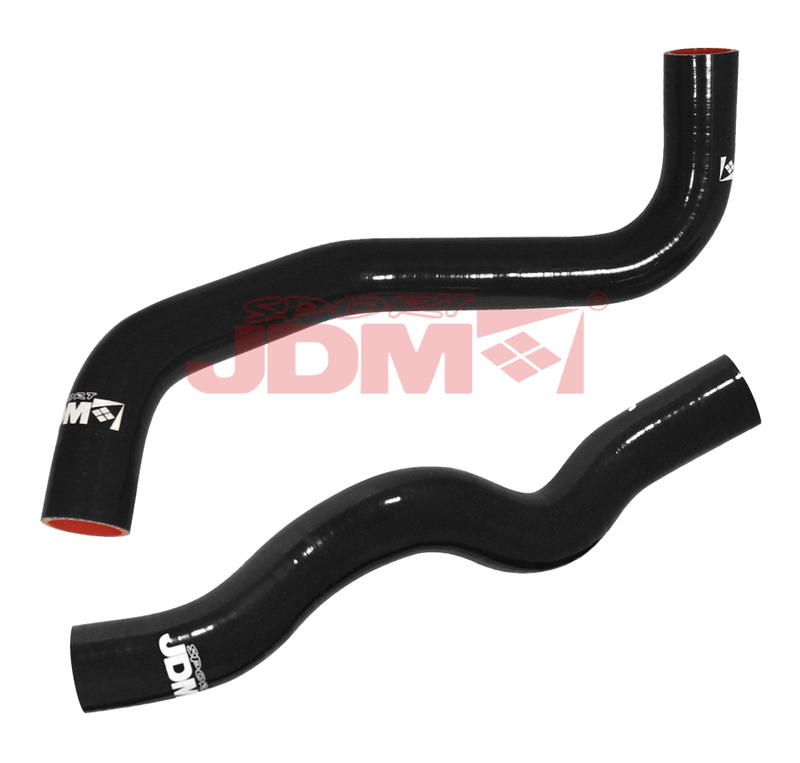 JDM Sport Performance Silicone Radiator Hose Kits are designed to endure rigorous high temperatures and high pressure operating conditions of the engine yet still sustaining superior power whether on the track or on the road. Coupled with high grade silicone and heat resistant ingrained fibers to deliver efficient heat minimization and expanded compression tolerance. OEM radiator hoses tend to diminish overtime leaving poor inefficient cooling results causing the engine to overheat where upgrading with JDM Sport Performance Silicone Radiator Hose Kits will be the perfect replacement. JDM Sport Performance Silicone Radiator Hose Kits provides exceptional heat reduction, increased pressure tolerance, and overall quality results. Silicone Radiator Hose Kits are available for a wide range of applications with available hose colors in Red or Black(Depending on application). 09-12 NISSAN 370Z Z34 09-11 INFINITI G37 BLACK SILICONE RADIATOR HOSE KIT Model Number: RDH-038BR Application: 09-12 NISSAN 370Z Z34 09-11 INFINITI G37 BLACK SILICONE RADIATOR HOSE KIT. Installation Difficulty: Professional Installation Highly Recommended.